Etienne Gilson has the view that all good, created things have a tendency to ‘lapse back into nothingness’ (words of Gilson’s, I think). This may look like the claim that all created beings have such a tendency so that, given enough time, everything that could slip back will slip back into non-being. According to Gilson rational beings are especially prone to this since the avoidance of imperfection, of the slip into non-being, requires their self-control, which they may fail to exercise. Some do not like such a proposal, perhaps because it is speculative, or because it is at odds with the goodness of the creation, and that it leaves one with a form of the free will defense against the incompatibility of the existence of moral evil with a world created good by God. A word about each of these in turn. If this is speculative, it is so in a way that has been endorsed from the time of Augustine, if not before. Augustine held that the human and angelic beings were created mutable, that is with a liability to fall and to depart from the standard or level of goodness with which they were originally endowed by God. Perhaps this means that given enough time those possessing such a liability would in fact mutate, unless awarded a grant of the upholding power of God. Is this speculative? Surely it follows from the fact that angels and mankind fell than they were liable to fall, they possessed the capacity (or better, the incapacity) to fall. If A fails then A has the capacity to fail, when (in the words that are almost precisely those of the Westminster Confession) A is ‘left to the liberty of its own will’ . Is such an account at odds with the goodness of creation? The creation was created good, but was it created as good as could be? Some thinkers, such as John Hick, have made the objection that there is a fatal incoherence at the heart of any theodicy that involves a fall. The creator is preserved from any responsibility for the existence of evil by the claim that He made men (or angels) as free and finitely perfect creatures, happy in the knowledge of Himself, and subject to no strains or temptations, but that they themselves inexplicably and inexcusably rebelled against Him. But this amount to a sheer self-contradiction. Of course there would have been a sheer self-contradiction if God has made angels and men such that they were impeccable and then they had fallen. For it is not consistent to suppose that creatures incapable of falling nevertheless fall. But if we suppose that God made mankind without sin, good but not as good as could be, and made the angels likewise, then there is no contradiction. It’s not at odds with the goodness of the creation precisely because different grades of goodness, or different grades of being are conceivable, as we are seeing. There is the degree of goodness that is indefectible, the goodness of God himself; and there is the degree of goodness that is defectible, that degree with which humankind was originally created. And if created beings, who are defectible, defect, then the sort of being/goodness that they then enjoy is lower still, just as the degree of goodness enjoyed by the beatified, whose goodness is by God’s grace now rendered indefectible, is greater than that. None of this is to speak of the other degrees of existence those possess which occupy lower rungs on the ladder, lower animals and the inanimate creation. Does it leave one with a form of the free will defense? Well, yes it does. Arminians and libertarians more generally have no monopoly of the use of this idea. As we have already noticed, the Westminster Confession states that man was created ‘under a possibility of transgressing, being left to the liberty of their own will, which is subject to change’. (IV. Ii) This is certainly a form of a free will defense, surely? This scheme of things, with the idea of degrees of being, and therefore of the privative notion of evil, is not simply a speculation of a Roman Catholic such as Gilson, it is also embedded in Reformed theology. I’ll briefly try to show this in the case of Calvin. Strangely enough, there are places in which it seems that Calvin deliberately downplays that degree of goodness in which God originally created humankind. 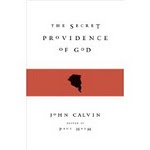 In a work of his on providence, The Secret Providence of God, published in 1558, Calvin refers to the man who was originally created as quae fluxa et caduca erat, ‘weak and liable to fall’. This corresponds with what he wrote in the Institutes, ’Adam, therefore, might have stood if he chose, since it was only by his own will that he fell; but it was because his will was pliable in either direction, and he had not received constancy to persevere, that he so easily fell.’ ‘Nor was it reasonable for God to be constrained by the necessity of making a man who either could not or would not sin at all. Such a nature would, indeed, have been more excellent’. So according to Calvin man ‘easily fell’ because he was inconstant, and there is a ‘more or less’ to excellence in natures; some natures are more excellent as natures than others, and so it is possible to arrange these in a hierarchy – God, incapable of sinning, angelic creatures and human creatures, capable of sinning; angelic and human creatures actually sinning; non-human animals, and so on. Adam was left to the liberty of his own will, and so he sinned by an act of his will. So free will, in this case the exercise of the choice beween good and evil courses of action, plays a part in theodicy for the Reformed. But – and this is one important respect in which the standard Christian account of the Fall differs from the modern idea of a free will defense - Adam could have been so endowed as to be impeccable. There is a world in which unfallen Adam does not suffer from the mutability he was created with; however, there is a time in this world when he does not suffer from such an incapacity. Though it is perhaps worth adding that for Calvin creaturely impeccability is a divine gift, for no creature has nor can have righteousness a se. So there is good reason to think that quite a bit of sense can be made of the idea of sin as privation, a loss or lack, and of degrees of being, and even of a free will defense, provided that such notions are properly qualified. So, in the case of the free will defense, as endorsed by the Westminster Confession, it claims that Adam’s mutability meant that his nature was such that he could stand or he could fall; not that, as regards his nature, he must fall; or that as regards his nature, he must stand. When thinking simply of the sort of nature Adam had, then the fall was not inevitable, any more, from the decree, the fact that Christ possessed normal bones meant that they would be broken. Possessing such bones, they may be broken and they may not. A peccable Adam lacks something that an impeccable Adam possesses, a lack which has immediate moral and spiritual implications that being a one-eyed person as against a two-eyed person does not carry. Isn’t this lack a privation, and isn’t such privation at least, a moral lack or loss, even if there are some privations that do not have such immediate moral or spiritual consequences? I think I’m a high Calvinist. I have no objection to the height of the Calvinists; but I have objections to the miserable narrowness of some, the miserable narrowness. In the last Analysis I introduced John Gill to people who may never of heard of him, and reintroduced him to others, arguing that the ‘hyper-Calvinist’ charge is somewhat overdone, though not altogether, but that it is better that we should think of him as a ‘high’ rather than a ‘hyper’ Calvinist. In any case this should not distract us all (and in particular Gill’s fellow Baptists) from availing ourselves of the many good things this learned man has to offer to the church. In this Analysis I wish to demonstrate this further by discussing what Gill has to say about ought and can in his early work, The Cause of God and Truth. The question is, does ought entail can? That is, does the obligation that one has to do something, or to refrain from doing something, entail that one has the ability to do it? Or is it possible to be obliged to do something while not having the ability to do it? How one answers that question is something of a theological criterion, like a blood-test is for the state of the body. If one answers ‘No’ then this is generally the sign of Augustinianism. (It is a pervasive theme in his Anti-Pelagian writings, see, for example, On the Grace of Christ, Ch.20, and in Calvin. Inst. I.2.3) If on the other hand one replies ‘Yes’ then this is generally a sign of Pelagianism or Arminianism or of a moralistic liberalism. For instance, that ought implies can is critical for Immanuel Kant’s view of ‘pure moral religion’ as developed in his Religion Within the Limits of Reason Alone. One can readily think of cases where ‘ought implies can’ does apply; for example, I cannot be obliged to help an old lady across the road if I am 50 miles away, unless of course, I have a prior duty not to be so far away but to be minding her. On the other hand, one might equally readily think of cases where it may not apply. For example, I might have an obligation to keep the law of God when, through original and actual sin, I lack the ability to do so. The so-called first use of the law, to convict of sin, requires (it seems to me) that one deny that ought always implies can. It is the very realisation of the inability that may drive a person into the arms of Jesus. It is sometimes said that the hyper-Calvinist and the Arminian agree together on the claim that ability implies obligation. The Arminian thus holds that a person has an obligation to believe in Christ only because he has ability to exercise faith, and the hyper Calvinist holds that a person ought not to be commanded to believe in Christ because he does not have ability to do so. If Gilll were a hyper-Calvinist then one might expect him to follow this line. Our question is, does he? This decree is said to be ‘contrary to the justice of God; because by it God is made to require faith and obedience of persons from whom he has either taken away strength to perform, or to who he has absolutely decreed not to give it; which make it impossible for them to believe and obey: and no man is bound to do that which is impossible’. [This looks like a paraphrase or perhaps a direct quotation from Curcellaeus or from Limborch, both of whom Gill cites. I have not been able to check]. He cites the case of a debtor who may not be able to pay his debts and yet may still have the obligation to do so. The fact that a person may become habituated to evil does not entail that he does not have an obligation to live uprightly. Second ‘It is man’s duty to believe the word of the Lord, and obey his will, though he has not a power, yea, even though God has decreed to withhold that grace, without which he cannot believe and obey’. It is evident that in this passage as a whole Gill makes a distinction between obedience to the law, and the performing of spiritual and evangelical obedience. This seems a curious difference , because Gill appears unnaturally to restrict spiritual obedience only to the gospel. But what is this obedience to the law which is required of us all, but a purely-motivated and perfect obedience, of which we are incapable? (To confuse things further, in one place Gill grants that God requires all men, and it is their indispenable duty, to love him with all their heart, soul , and strength, to fear him always, and keep his commandments.’ (278)) Is not the ‘preaching of the law’ intended to drive a person into this particular corner? (As with Jesus’ discussion with the rich young ruler.) But such preaching is the call on men and women perfectly to keep the law, not merely to keep it in an outward, self-righteous or hypocritical manner. So it would seem that unless Gill is going to restrict obedience to the law in an implausible and unsatisfactory fashion, then the inability fully to keep the law does nevertheless entails an ability to keep it fully; and, by parity of reasoning, the inability to exercise true faith in Christ ought not to remove the obligation to believe in him. Ought implies can, but there are different grades of ability, and so different grades of obligation, or so Gill seems to say. Yet it also seems that he has not quite made up his mind on this issue. On the one hand since the reprobates may believe and do certain things, they are required to believe and do them. They cannot however believe in Christ to the saving of their souls, but – here Gill appears to hesitate – it is ‘difficult to prove’ that these are required by God. But ‘should that appear’ that they are required to do such things, the impossibility of doing so arises from their hearts, not from the decree. So there is some inconsistency in Gill’s attitude to the principle that ought implies can. In some cases not covered by straightforward cases of physical impossibility he seems to imply that ought does imply can, in other cases not. This inconsistency is unfortunate; nevertheless, it makes it harder to pin the label of ‘hyper-Calvinist’ on Gill. But does Gill nevertheless ‘offer the Gospel’? And what is it to make such an offer? We shall consider these questions in our next Analysis. Thomas J Nettles has an attempt (unsuccessful) to harmonise Gill’s position in his interesting account of Gill in Ch. 2 of By His Grace and for His Glory. I should like to put in a good word for heaven. It’s having a hard time at present, even when it is discussed within the capacious tent that is evangelicalism. First it was hell, now it’s heaven. Whatever is going on? What’s going on is the domestication of heaven, the propounding of the idea of ‘geo-heaven’. One way of Christianising the belief in a global warming contagion, of providing a motive for caring for the environment other than the reason that it’s an intrinsically good thing to do, or that it is in our short-term interests, is to say, ‘The earth is the place to which the Lord Jesus will return, where he will take up his residence with the redeemed, so let’s get busy and make it nice’. Or keep it nice, depending on where you live. The implication seems to be that there is to be a new earth continuous with this earth, with, for example, the same mountain ranges, oceans and deserts, towns and cities, though with their ‘dark Satanic mills’ dismantled, or at least made angelic through having zero carbon emissions. The environmentally-friendly earth is to be the location of the New Jerusalem. Sometimes the parallel with redemption from sin is drawn more tightly, with CO2 emissions taking the place of sin being. Lower the emissions and so make a palace fit for the Great King. Maybe this is a mutation of premillennialism. Maybe, on the other hand, it’s a variant of the behaviour of the Levellers and the Diggers of the Commonwealth period. You’ll understand, I hope, if I don’t attempt to go into such things here. Instead, I content myself with putting in a word for the biblical teaching about the unearthliness of heaven. Occasionally when such matters as the unearthliness of heaven are raised people can be heard muttering ‘Augustine’ or ‘platonism’. But Augustine could not be clearer on the body and its original goodness (after all, he wrestled with the dualism of Mani for more than a decade of his life and finished by vigorously repudiating it), nor on the prospect of the resurrection of that body, which he understood with pre-scientific literalness; the resurrected body is to be this body, with its current physical make up, down to finger nails and hair. So he was pro-body, you might say. You may chuckle at the fact that he rivalled Luther in his interest in farting. The body, this body, will be resurrected. It's certainly true that in thinking about heaven we need to echo the New Testament’s caution as regards the details. In at least three respects. In terms of location, continuity and the mode of existence in heaven. We see through the mirror darkly. Nevertheless the trajectory of the biblical teaching, of Christ’s own teaching, is clear. Jesus, presumably not a Platonist, speaks pretty clearly about the transcendence of heaven. ‘I go to prepare a place for you…..’ Can this be spiritualised? It is hard to see how we can do this with a straight face. Peter writes of the heavenly bodies being dissolved. 'Eye has not seen……..' Surely at points such as these, maybe at all points in its teaching, the New Testament stresses not sameness but difference. Jerusalem which is above; here we have no continuing city; we are to inherit an eternal weight of glory. After all this emphasis on the unearthly, on the glory, on the transforming face of Christ, wouldn’t a eco-friendly Basingstoke or Blackpool be rather a let down? ‘As long as the earth remains’ there will be seedtime and harvest, implying, presumably, that there is coming a point when it ceases to remain. Supporting this trajectory is Christ’s own physical resurrection and ascension. Why has he ascended, but as a foreshadowing of the Church’s own ascension? What does Christ’s own ascension foreshadow but his handing over the kingdom to his Father after having put down every rule and every authority and power? (I Cor. 15.24) So shall we ever be with the Lord. Such words seem to promise more than the transformation of Sheffield or Cincinnati into garden cities. As to location, it seems to follows as a matter of logic that if a place is prepared for his people, a place where Jesus is, then space is involved. And if the redeemed are embodied, as Christ teaches, and Paul endorses, then movement, and therefore time, are involved. 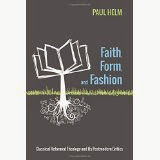 If there is embodiment then the ‘eternity’ of heaven cannot be the ‘timeless eternity’ of God himself. So, space and time. This line is borne out by the presumably not misleading language of the New Testament that heaven is, or is like, a city. But a transcendent city, the new Jerusalem, prepared as a bride for her husband. But how are we to think of this? It’s not very easy, and we’d best be cautious. Perhaps the least unsatisfactory way is to think in terms of the analogy of God as a literary author. As an author he has written one book, the book of human prehistory and history. But he’s the author of another book with a timeline that overlaps that first book. As the lives of the characters in the first book come to an end so the characters are transferred into the second book, where Jesus is already present, and where the angels always behold the face of his Father. What is the metaphysics of the transition from the first book to the second? We can best answer that question by asking another. What does Paul mean by his phrase a ‘spiritual body’? Once we have an answer to this seemingly oxomoronic expression then I suppose we shall be able to fill in the details of the transition. As regards the mode of existence, the New Testament seems to focus on the moral and spiritual transformation that takes place in or at the transition. We shall be like him, for we shall see him as he is. Those with such a hope are motivated to purify themselves here and now. What of continuity and discontinuity? Here also there is room for speculation and debate, though of necessity the debate is rather ill-informed. Are there cultural products of volume one in volume two? If the resurrection of the body, and what we know about the character of the resurrected body as ‘spiritual’ is to be the chief motif of our thinking about the life to come, then this may warrant us in thinking that the new heavens and the new earth, in which righteousness dwells, will be structured by continuity and discontinuity. Just as the resurrection body is a ‘spiritual body’, the transformation of the earthly body, are such cultural products carried over in a suitably refined way, fumigated by the Spirit? Perhaps they are. There’s a similar problem with memory, so essential, it seems, to our own present identity. If my memory is to be refined and renewed, how can it still be my memory? Amnesia destroys the sense of self. So there are plenty of gaps in our understanding, to the point where we hardly know what the correct questions are, much less the answers. But this is to be expected in matters that have not yet entered the heart of man. Nevertheless the strong tendency of the New Testament is to cultivate in Christians an expectation and longing for heaven. Present environmental preoccupations, whether or not we think they are appropriate, should not lead us to overturn the balance and thrust of Scripture’s teaching on the incorruptible and unfading inheritance that is reserved in heaven for the people of God.